The pilot shortage is here. 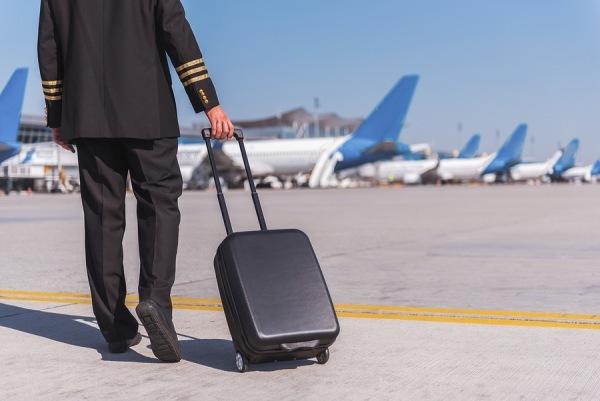 According to Dan Akins, a transportation economist and founder of the consulting firm Flightpath Economics, the U.S. commercial airline industry is short approximately 500 pilots this year. But that number will balloon to 2,000 next year and 4,000 by 2022, as some 13,000 to 15,000 pilots at Delta, United, American and Southwest reach retirement age. Yes, the shortage is real. It’s critical, however, to make it clear which sectors of the aviation industry are affected. First, we are looking specifically at the U.S. airline industry. Civilian pilots in the United States are responsible for securing their own FAA credentials, and for logging hundreds, or even thousands, of hours of flight time before applying at an airline. It’s a long, slow, and very expensive process. Other countries recruit pilots differently, with a growing reliance on programs whereby young candidates are chosen from scratch, with no prior experience, and are groomed from the ground-up, so to speak, in a tightly controlled regimen that puts them in the cockpit of a jetliner very quickly. These programs are ultra-competitive, drawing hundreds of applicants for each available slot. Secondly it’s important, to note the sharp divide between the major carriers and their regional affiliates. The major carriers, American, United, Delta, Southwest, JetBlue, et al, essentially have no pilot shortage. They can cull from the top ranks of the regionals, as well as from the military and corporate aviation pools. Even amidst an ongoing wave of retirements, a steady supply of experienced crews is unlikely to be depleted. At the regional airlines, it’s a different story. And by “regional” we are referring to the numerous subcontractors who operate smaller jets and turboprops on the majors’ behalf: United Express, Delta Connection, American Eagle, and so on. For civilian pilots, the typical career progression includes a substantial amount of tenure at this level before, assuming he or she is fortunate enough, progressing to a major. And it’s here where the problem is. Pay at the regionals is substantially lower than at the majors and working conditions are harsh. Becoming a licensed commercial pilot, to the point where one is eligible to apply for an airline job — any airline job — requires a huge amount of time and money. It can take years, and the average pilots sinks well over a hundred thousand dollars into his or her flight training and education. Salaries at the regionals, meanwhile, have traditionally started as low as $20,000 a year, and have topped out at under six figures. Schedules are demanding and benefits paltry; the relationship between management and the workers is often hostile. While these factors are nothing new, what’s different today is that the regional sector has grown so large. Today, regional jets account for an astonishing half — 53 percent of all domestic departures in the United States. As recently as twenty years ago it was somewhere around fifteen percent. In those days, pilots saw a job with a regional as a temporary inconvenience — paying one’s dues. It was a stepping stone toward a more lucrative position with a major. Pilots are now realizing that a job at a regional could easily mean an entire career at a regional. Thus, a diminishing number have been willing to commit the time and money to their education and training when the return on investment is so low where measured for an entire career. In response, an FAA advisory committee has recommended a training module that would allow pilots to be licensed for commercial flying after 500 hours of flight time. Under current rules, pilot trainees typically must amass 1,500 hours of flying to obtain their ATP license, a necessity to serve as a co-pilot on a scheduled air carrier. Exceptions are allowed for military pilots, who must have 750 hours; graduates of qualified bachelor degree aviation programs, who must fly 1,000 hours; and graduates of qualified associates degree aviation programs, who must have 1,250 hours. Under a recommendation of the FAA’s Air Carrier Training Aviation Rulemaking Committee, trainees who go through what would be an airline-run training program could obtain an ATP license with just 500 hours of flight time. Only military pilots and graduates of authorized four-year and two-year university and college aviation programs would be eligible for acceptance to such programs. The committee suggested that the programs include 326 hours of aviation-related coursework. In addition, upon completion trainees would need to have 100 hours of night flight time, 75 hours of instrument flight time and 200 hours of cross-country flight time among other requirements. The programs would be comprised of 14 distinct modules. ALPA supported more moderate credits of 250 hours across the board for aspiring pilots who complete the proposed airline-run training module. Under that proposal, military pilots could get an ATP license with 500 hours of flight time, four-year aviation school graduates would need 750 hours and two-year graduates would need 1,000 hours. Other solutions are being offered on the corporate side. Many regionals have started upping their salaries and improving benefits. The cost structures of these carriers, whose existence is primarily to allow the majors to outsource flying on the cheap, limits how much they can lavish on their employees, but if they want to stay in the game, they frankly have little choice. New-hires at companies like Endeavor Air (a Delta affiliate) and PSA (American), for example, can now make first-year salaries in the $70,000-plus range. That’s around three times what these pilots would have been making in years past. Some companies are offering signing bonuses of several thousand dollars, and work rules too are getting better. Air Wisconsin, a United partner and one of the nation’s oldest regionals, says that new-hires can now earn up to $57,000 in sign-on bonuses. It promises earnings of between $260,000 and $317,000, including salary, bonuses, and what it calls “elected benefits,” over the first three years of employment. Numbers like that are unprecedented.